Explanation: On some nights the sky is the most interesting show in town. 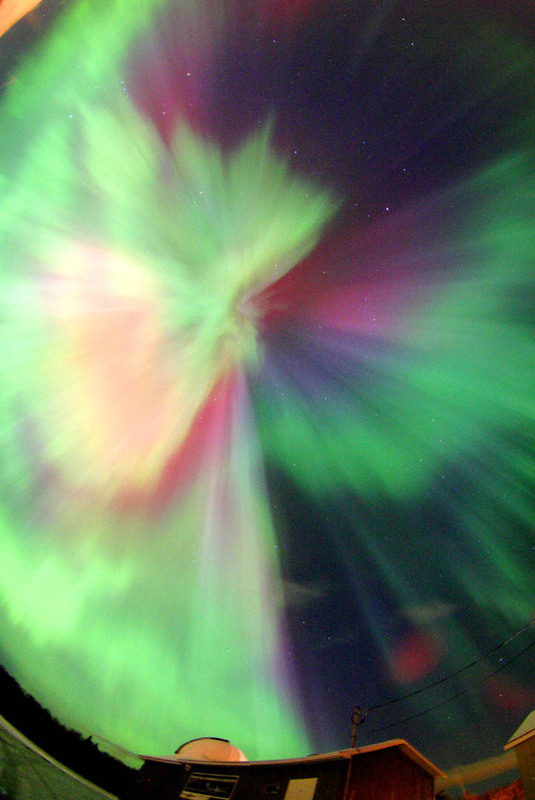 This fisheye picture captures a particularly active and colorful auroral corona that occurred two days ago over l'Observatoire de la Decouverte in Val Belair near Quebec, Canada. 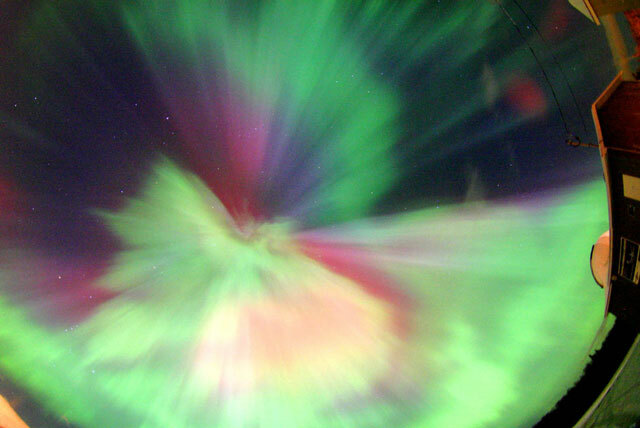 The above spectacular aurora has an unusually high degree of detail, range of colors, and breadth across the sky. The vivid green, red, and blue auroral colors are likely caused by high atmospheric oxygen and hydrogen reacting to incoming electrons. The trigger events were magnetically induced explosions on the Sun from sunspot region 696 over the past few days. Continued activity from this active solar region could mean more auroras visible to northern observers over the next few days. Early in the morning but far in the background, planets, stars and the Moon will be simultaneously putting on their own show.